After a long of week of seemingly endless work at the office, I finally had a day free to myself to spend doing whatever I felt like doing. So I headed out to Union Square with my sister, Rachel, to visit some bookstores around the neighborhood and also to grab a bite to eat. 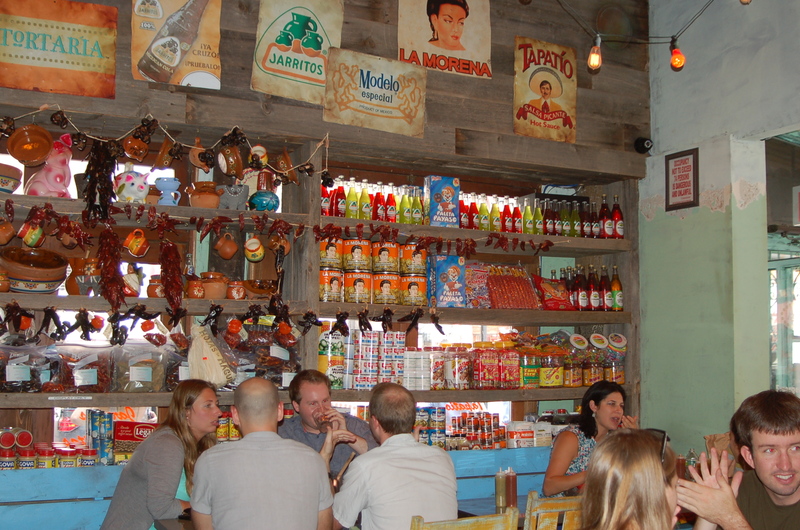 Right off of University Place, we walked into a Mexican restaurant called Tortaria for our late lunch – despite it being past regular lunch hours, Tortaria was packed with diners enjoying their meals. Rachel and I were seated at the bar, where we were given a thorough explanation of the wide variety of dishes on the menu. Upon being seated, Frankie, the restaurant manager, recommended that we start off our meals with a frozen margarita, one of Tortaria’s famous drinks. The frozen margaritas come in different flavors every day, depending on what Frankie thinks would be the hit of the day, and I was given a pomegranate frozen margarita. 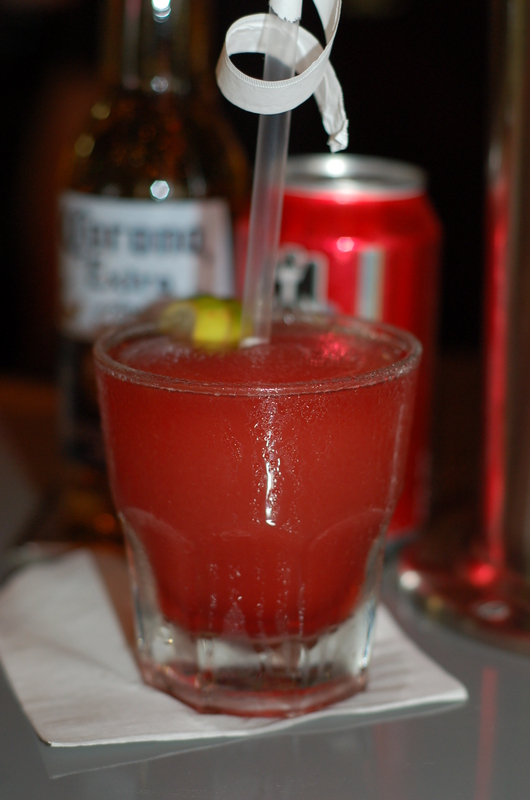 Tortaria’s frozen margarita is an absolutely delightful concoction, with a sweet and fruity flavor blended with refreshing ice. 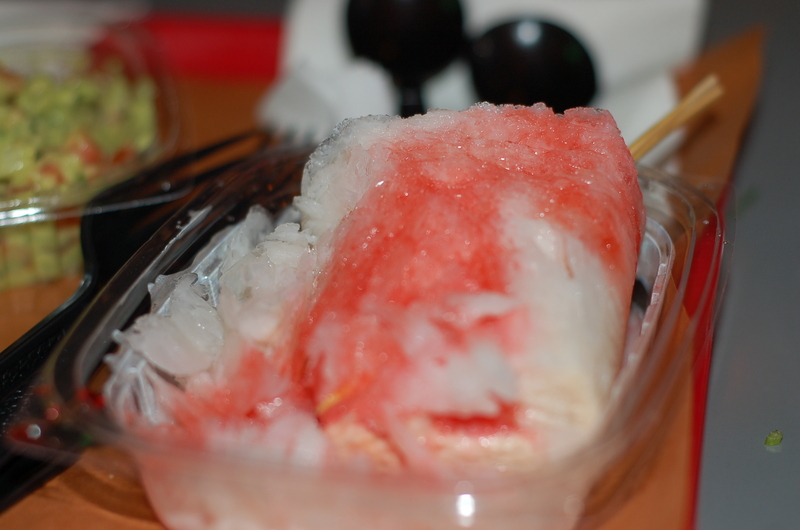 In the musky and hot city, this drink is the perfect solution for beating away the heat. After receiving my drink, Rachel and I ordered the chips and guacamole as our appetizer. 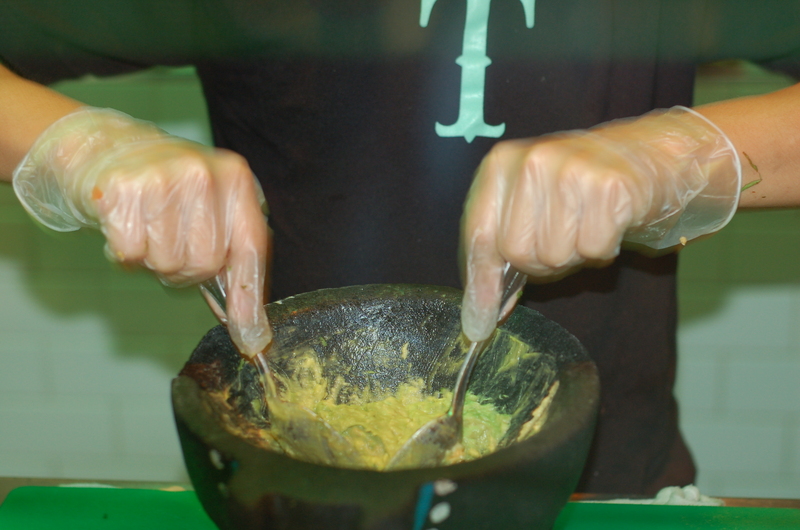 One great thing about Tortaria is that their guacamole is made fresh for every diner. 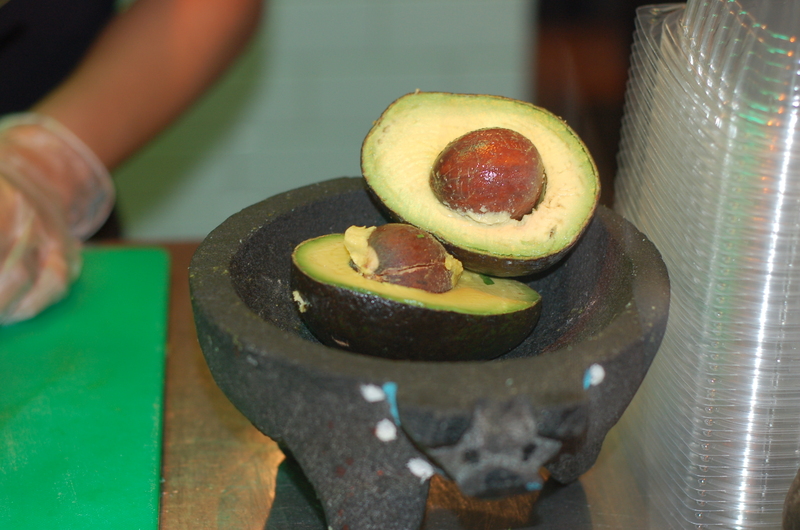 When receiving an order of guacamole, a member of Tortaria’s staff quickly cuts open a fresh avocado to mix it in with the rest of the ingredients to make a customized guacamole bowl according to each diner’s preference. 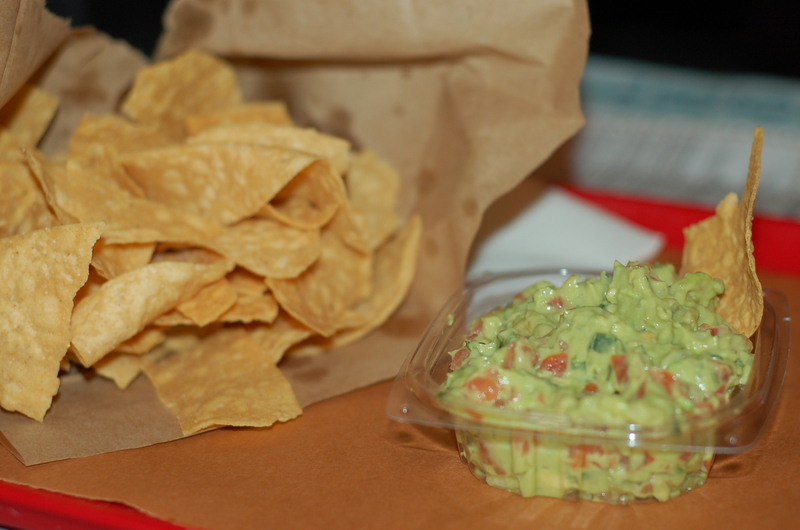 Made immediately on the spot, Tortaria’s guacamole was refreshing with bright flavors that popped out to complement the crispy tortilla chips. Next came our taquitos. Each taquito is made with soft, white-corn Masa tortillas that have been individually hand-pressed after receiving the order. Because the tortillas are made fresh as well, I was definitely able to taste the authenticity of the taquitos as if I was really eating in the streets of Mexico. 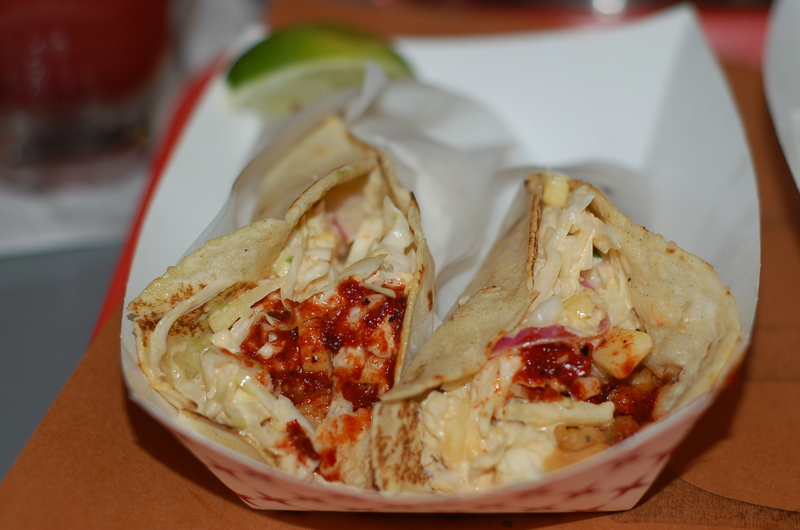 We ordered the Pescado taquito: a filet of crispy Red Snapper topped with a mango chipotle slaw and warm Costeno salsa, and the Carnitas: braised pork with crumbled Queso Fresco, pickled red onions, and tomatillo salsa. The Pescado taquito was absolutely amazing: the fish filet was crispy but not heavily fried and the mango-chipotle slaw with Costeno salsa added a mildly sweet and zesty flavor to the taquitos as a whole. 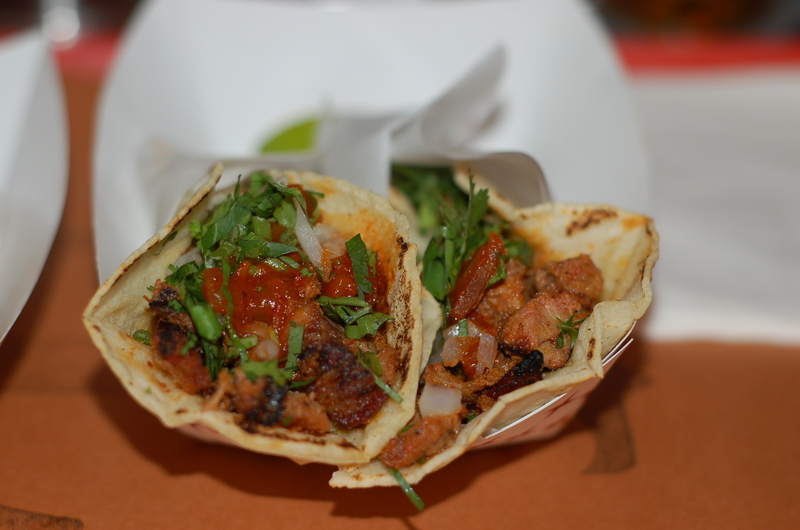 The Carnitas were also delicious, with tender pork marinated with a sweet and spicy salsa to create unique tastes. Both taquitos were light and extremely well cooked, and we were thoroughly impressed. 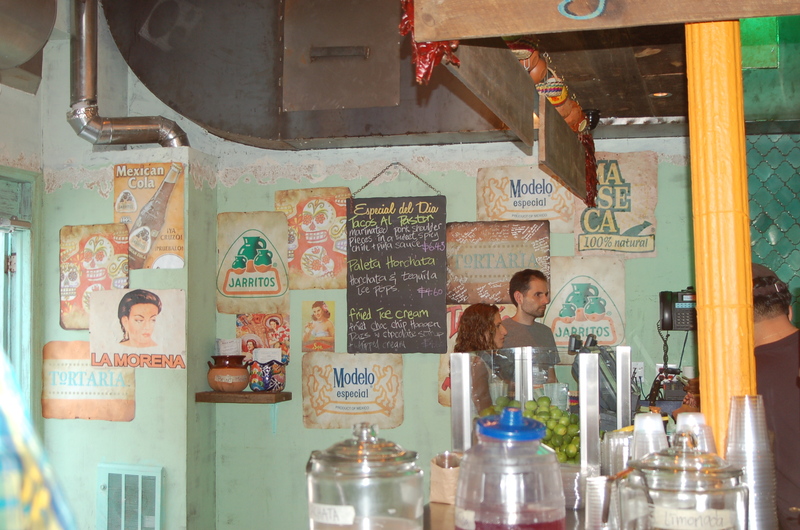 Tortaria is also famous for their Mexican sandwiches, called tortas, and they take great pride in creating unique flavors for each dish. Tortas made at Tortaria are extremely fresh, using semolina bread baked locally every day. 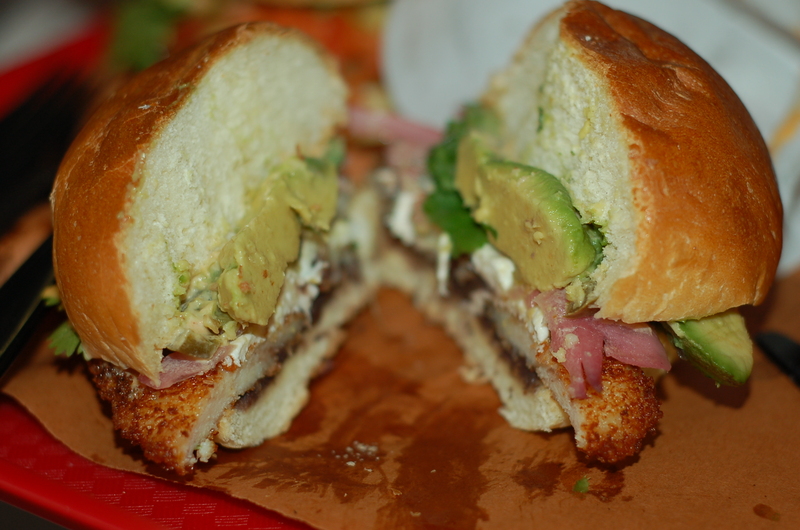 We ordered the Milanesa de Pollo, their most popular torta, the Crispy Eggplant, and the Mexican Grilled Cheese. After tasting the Milanesa dePollo, it was obvious why this was the most popular dish on the menu: with panko-crusted chicken cutlet topped with spicy black beans, melted Oaxaca cheese, avocado, pickled red onions and jalapeno, chipotle mayo, and cilantro sprigs, this torta is packed with fresh ingredients that make it the best Mexican sandwich you’ll ever eat. Slightly spicy and tangy, balanced with the tender and crispy chicken cutlet, the Milanesa de Pollo is simply amazing. 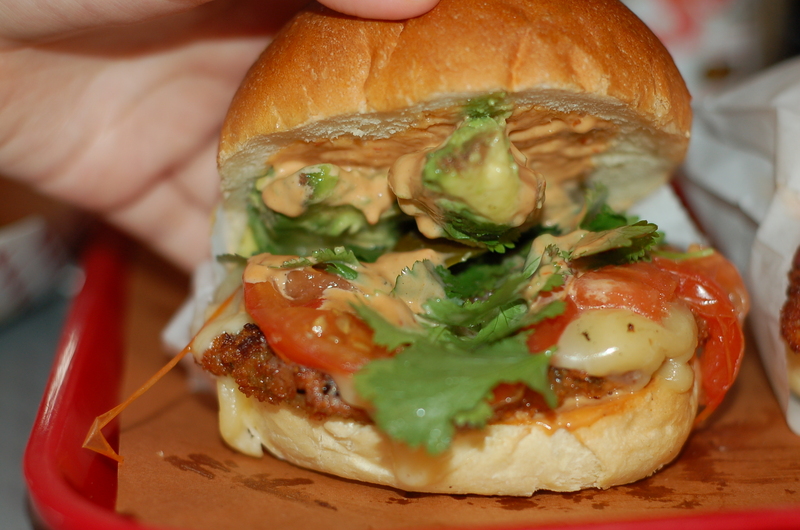 The Crispy Eggplant torta is a vegetarian torta, with panko-crusted fried eggplant cutlets topped with Chihuahua cheese, avocado, fresh Piloncillo tomatoes, pickled jalapeno, fresh cilantro, and Tortaria’s Chipotle BBQ sauce. As you can see from the extensive list of ingredients, the Crispy Eggplant torta is also filled with great vegetables that add on to the overall flavor of the sandwich. What I liked the most about this torta was the fact that it was vegetarian Mexican dish; generally, Mexican food is based on meat, so having a vegetarian dish on the menu is definitely a crowd-pleaser. Lastly, the Mexican Grilled Cheese at Tortaria gave a unique twist to the classic grilled cheese sandwich. Using buttered Challah bread, the Mexican Grilled Cheese consisted of melted Oaxaca cheese, fresh Piloncillo tomatoes, chicken chicharrones, and roasted chipotle salsa. 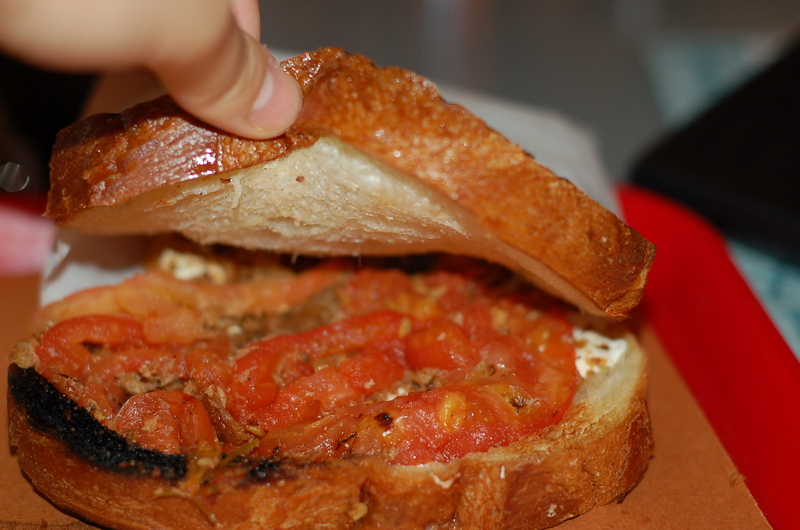 Chicken chicharrones are fried chicken skin which gives the grilled cheese a crunch, whereas the Piloncillo tomatoes add a slightly sweet flavor to the overall savory sandwich. All three sandwiches were well-made, tasted great, and uniquely crafted to give each diner an extraordinary Mexican dining experience.